come sith, come jedi, we are united against a great foe....the undead! Started by Redrum: the undead juggalo. Last reply by Redrum: the undead juggalo Mar 9, 2012. Started by Redrum: the undead juggalo. Last reply by C. Robert Cales Jan 8, 2012. 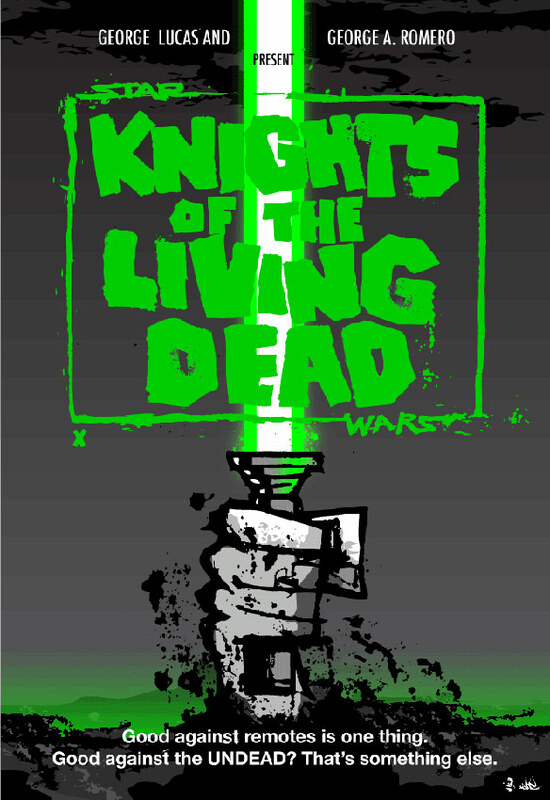 You need to be a member of Knights of the living dead to add comments! thanks for joining up guys...i hope you all have brought a lightsabre and\or blastors. now, how about killing a few zombies?! In response to the roll call I stand and sheath my samurai which was ready to dispatch the next zombie. I am a writer. My friends call me ScaryBob. I write paranormal thrillers. www.scarybobproductions.webs.com. I am a Knight of the Living Dead and I say it's a good day when you've killed so many zombies that there is nowhere to step except on rotting flesh and oozing brain matter.